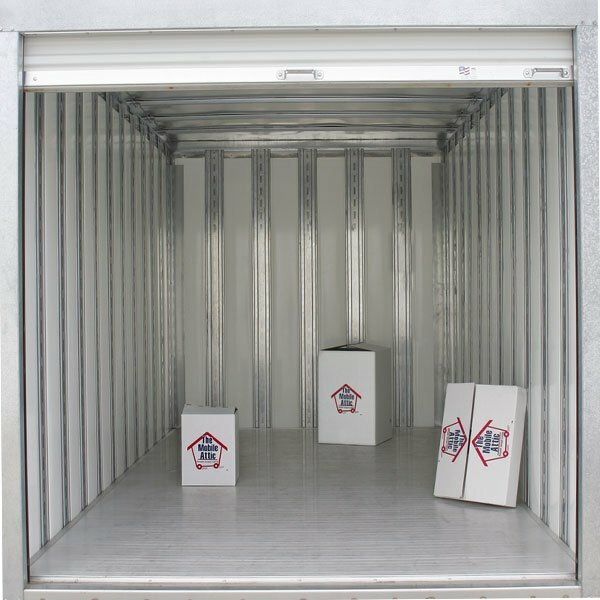 The Mobile Attic portable storage containers are uniquely designed to be weather resistant as well as aesthetically pleasing. Unlike any other portable storage container, The Mobile Attic containers are designed with a slightly arched aluminum skin roof. They not only reflect heat, but water and snow will never collect on top. Side panels are aluminum sheet and post with plastic inserts to protect the interior walls and provide insulation. With an aluminum track floor sturdily supported by a steel under-frame, up to 8000 pounds can be stored without any fear of the bottom falling through. 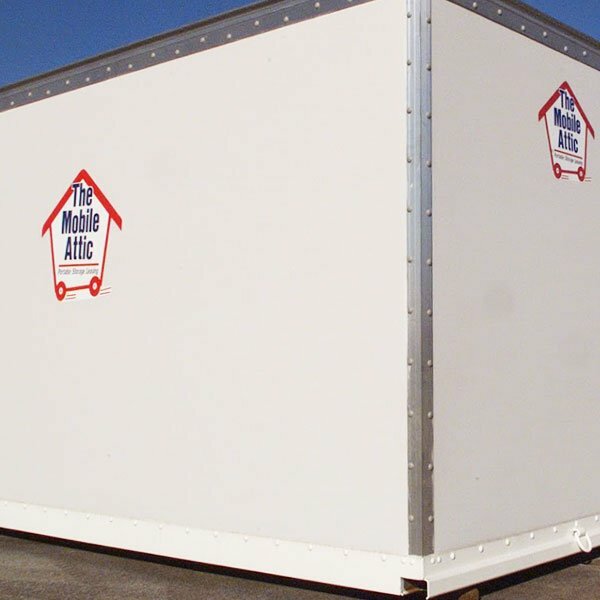 The Mobile Attic containers are built to withstand the elements and to protect your stored items. Our professional drivers are careful and courteous while delivering, moving, and picking up the Mobile Attic Unit. Some Mobile Attic containers are equipped with steel tracking systems to help secure your items. Additional items may be available, such as cam-buckle straps, moving boxes, moving blankets and padlocks for the storage unit. Each Mobile Attic Dealer is locally owned and operated. Contact your local Mobile Attic Dealer to find out what sizes, specifications and services are available in your area. The Mobile Attic is a trademarked brand…. The Mobile Attic brings excellent service right to your door. 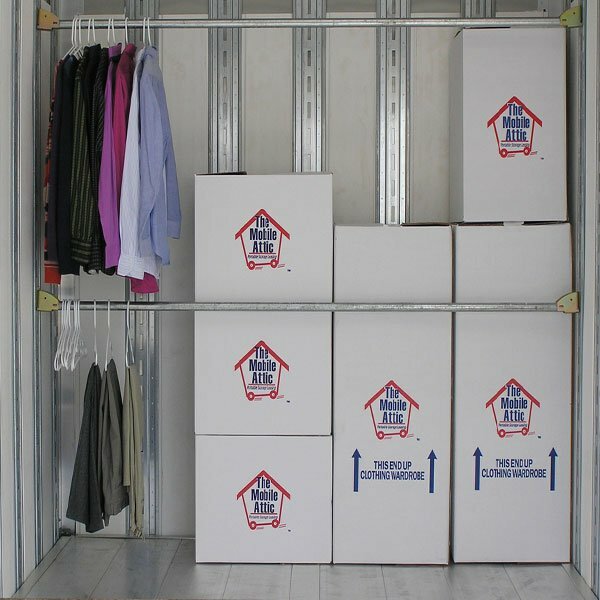 Our storage containers are wind and water tight and can be delivered directly to your residence or business location. Quick delivery and set-up is available upon request. Size availability varies by location, please check with The Mobile Attic location in your area.